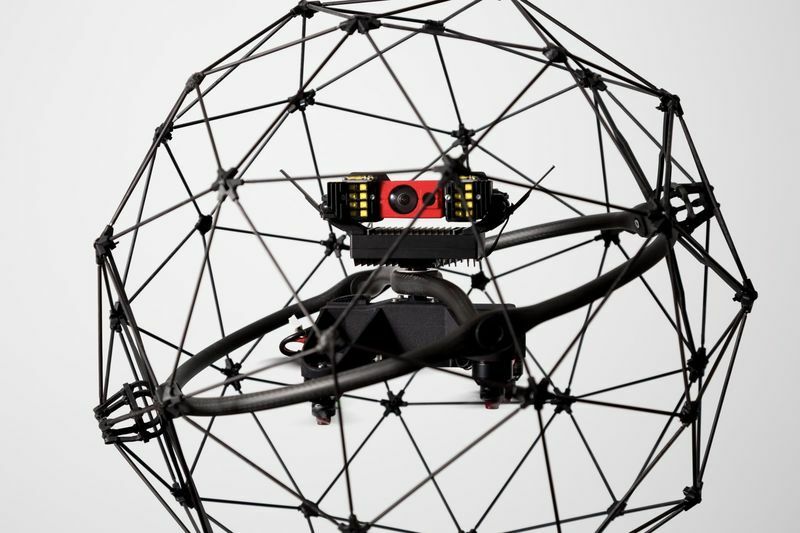 The Swiss drone manufacturer, Flyability, has made a name for itself with its rugged Elios drone, which flies in an insect-inspired frame and effectively bounces off any obstacles in its way. This kind of capability has obvious applications in public safety especially in industries such as construction and mining, where the working environment isn't always friendly. Flyability introduces the very first collision-tolerant flying robot, which is designed for industrial inspection professionals. Allowing, for the first-time, access to complex, cluttered or indoor places. The Elios is designed for the inspection and exploration of the most inaccessible places. Elios allows inspections to be performed at lower costs, during downtime, and in high-risk situations. The Elios drone is capable of delivering images up to 0.2mm/px, even in complete darkness. Along with its LED lighting and thermal imagery, it can inspect and explore some of the most unreachable places. It has a protective frame which is a carbon structure and is collision-tolerant up to 15 km/h and has a modular design for easy maintenance. The Flyability Elios drone can enter high-risk areas to carry out remote visual inspections of these spaces, such as areas with levels of high radiation, preventing exposure, radiation sickness and prolonged diseases to the employees while also providing a cost-effective and faster inspection method. The Elios drone can carry out the inspection work even while the nuclear power station is running at full capacity. Check out the video below to learn more about the inspection drone.